This week, we launch a new category in our blog and newsletter: "The tip of the week". 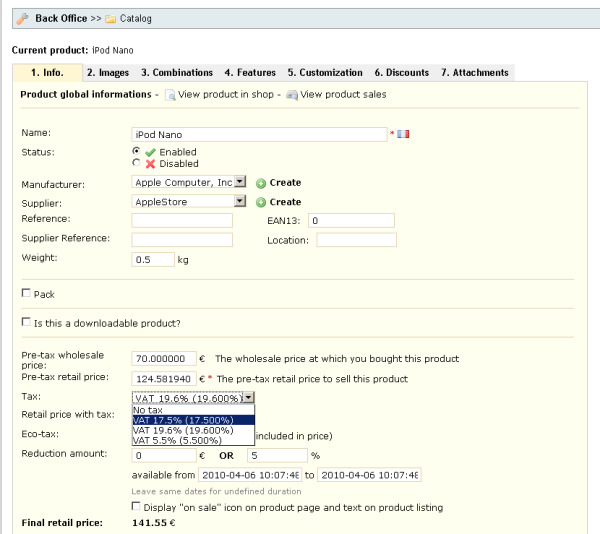 This week, discover how to configure a new tax in PrestaShop. 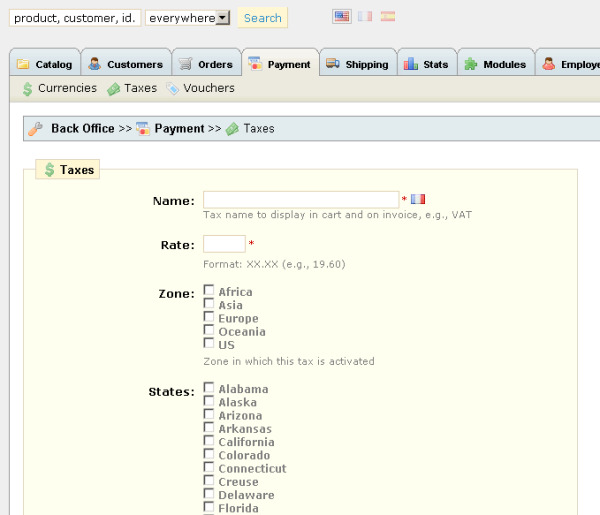 1 - Go to the tab "Payment", then in the sub-tab "Taxes". 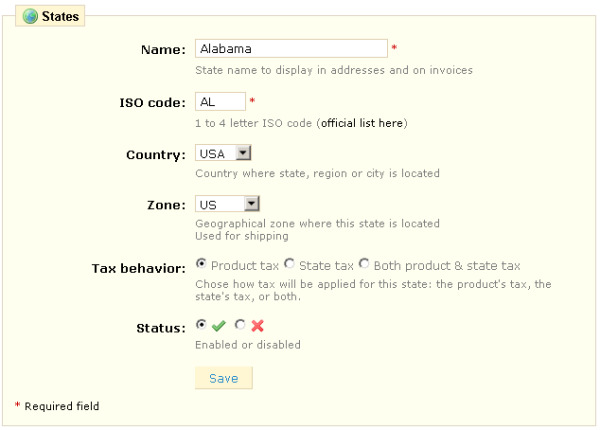 Click on "Add new", and fill in the Name, Rate, Area or states affected by this tax. 2 - If this tax applies in particular states, do not forget to edit them: tax alone or combined with the one of the state’s area. 3 - Finally, apply the tax on the concerned products by editing them in the back-office.